Meet Aubrey and Adam Bolender, two beef producers in southern Ohio. Learn more about how strong partnerships with their co-op members and each other help their operation grow. At one point in history, Portsmouth, Ohio, was a shoe-making mecca with 5,000 industry employees. When the last of the industry was on the verge of closing, seven partners some investing their life savings to keep the, then, Michellace, facility open. In 2009, Sole Choice, Inc. launched. 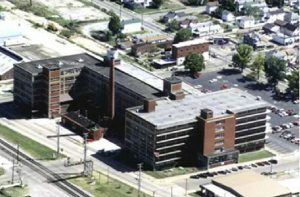 Located at 830 Murray Street in Portsmouth, Ohio, it occupies a manufacturing space on a five-acre site in Portsmouth, Ohio. Built in 1918 and expanded in 1929 and 1947, the building has survived the economic decline as well as the 1937 Portsmouth flood. Sole Choice began with 15 people on staff and 24 customer accounts. They currently have more than 50 on staff and over 400 customer accounts. They are a team of hardworking, honest, and dedicated individuals, who provide innovative and flexible solutions to meet the needs of customers. They have been providing quality products to the retail and industrial markets for over 100 years and take pride in their history. This is company with a long-term reputation for innovation, quality, efficiency and delivery for serve on a local and global basis. The company has certainly been involved with some interesting projects over the years: a 100 ft. long shoelace for a 15 ft. tall boot for Redwing’s 100-year anniversary; a commissioned nautical rope-like shoelace project; the glow-in-the-dark lace project, where laces glow up to 4 hours; the Bluelace Project, where a strongman pulled a 13,000 lb. truck with a pair of 51” shoelaces; cords on space shuttle; cordage for catheter bags for hospitals; cords in radar systems for Royal Navy; shoeslaces in first-line military boots; shoelaces for forest firefighting boots; organic cotton shoelaces made for an all natural product shoe; and much more. For more information about Sole Choice, go to http://www.solechoiceinc.com, call 740-354-2813, or email sales@solechoiceinc.com. 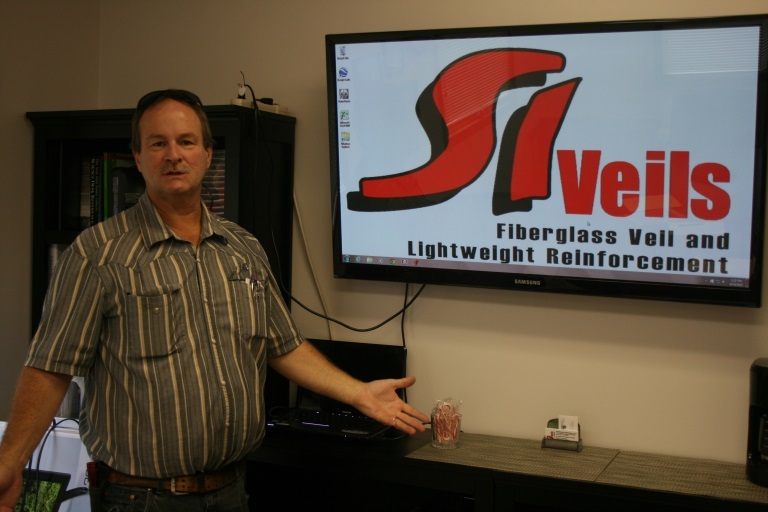 The Small Business Development Center (SBDC) at OSU South Centers in Piketon, Ohio assisted a family-owned business, Silver Bridge Coffee, in expanding their business and adding jobs to the local community. 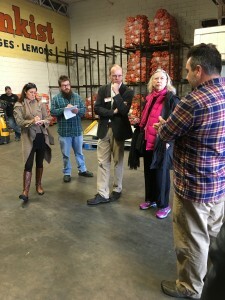 Seventeen participants in the Ohio and West Virginia Food Hub Network learned first-hand the ins and outs of aggregating, distributing and even processing fresh produce when they toured multiple central Ohio produce companies in May. 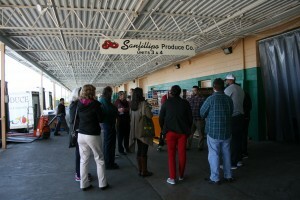 Food hub stakeholders and support organizations from across the region were welcomed at Sanfillipo Produce Co., DNO Produce, LLC and DNO, Inc. of Columbus, Ohio to learn about their organizations, which have roots in produce wholesale and distribution spanning 100 years. 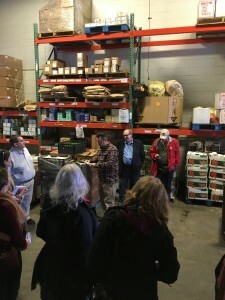 Not only did participants observe working facilities, they learned from employees about how these operations source product from growers, their processes for aggregating and then distributing product to restaurants, grocers, institutions and other customers, as well as protocols the companies use to ensure the quality and safety of produce throughout aggregation, processing and distribution. 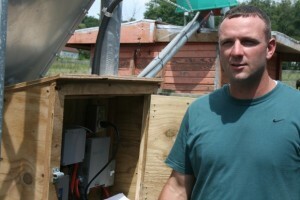 The Ohio Cooperative Development Center (OCDC) at The Ohio State University South Centers leads the Ohio and West Virginia Food Hub Network, a peer exchange network of new and emerging food hubs, incubator training farms, and technical assistance providers. The regional effort was formed in early 2014 and participants now come together four times a year. Meetings focus on assessing the needs of food hub and training farm efforts, organizing programming to meet those needs, and creating a space for stakeholders to learn from one another. Past programming has focused on financial planning and finance resources, examining successful models, and quality and safety assurance programs. The network also incorporates activities such as resource sharing through an email listserv and educational webinars throughout the year. 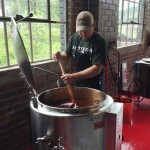 The U.S. Department of Agriculture defines regional food hubs as, “a business or organization that actively manages the aggregation, distribution, and marketing of source-identified food products primarily from local and regional producers to strengthen their ability to satisfy wholesale, retail, and institutional demand.” The concept, and efforts to create food hubs in local communities, has gained a lot of interest in Ohio and West Virginia in the past few years as hubs can create a variety of benefits within their communities, including increasing market access for local and regional producers, particularly small producers. If you are interested in learning more about cooperative food hubs or the Ohio and West Virginia Food Hub Network, please contact Hannah Scott, scott.1220@osu.edu or 740-289-2071 x227. 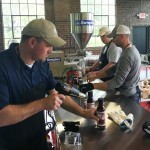 On May 18, the Ohio State University South Centers Small Business Development Center (SBDC) was present for the first day of bottling production at Patter Fam Sauces in Wheelersburg, Ohio. The day began with a homemade style breakfast, including biscuits, eggs, and bacon, prepared by owner Sam Peters. What a wonderful way to start any work day! After receiving final inspection and approval from the Ohio Department of Agriculture, Sam invited members of the SBDC business team to act as the production crew for the day. 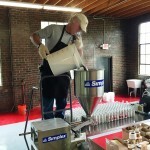 Team members Ryan Mapes, Chris Smalley, and Mick Whitt were involved with the entire process that all employees will perform, such as, calibrating equipment, cleaning and sterilization, preparing ingredients, stirring (a lot of stirring), and filling, capping, sealing, and boxing the finished product. The benefit of the SBDC team taking part in this day was helping Sam better evaluate exactly how many employees it will take to complete the needed tasks in the allowable time, as well as, going through all the process and work instructions step-by-step to ensure they are clear, easily followed, and include all necessary duties. These precise and detailed work instructions will help reduce new employee training time and uninformed mistakes, thus increasing production and quality. Patter Fam Sauces is now bottling for a variety of companies as well as maintaining production supplies for their own line of products. The team was also treated to a delicious meal from Patter Fam’s kitchen for lunch. Sam apparently has not yet learned that if you keep feeding the OSU Business Team…they will keep coming back. 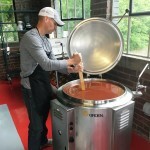 The Small Business Development Center (SBDC) at OSU South Centers in Piketon, Ohio assisted Saucy Sows in expanding their product into new markets throughout Ohio. 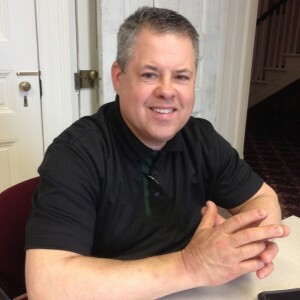 Successful entrepreneur, Brad Elmore in Hillsboro, Ohio, knows the importance of keeping up with the ever evolving business environment. Brad gained extensive experience in the restaurant industry over many years. He worked in his mother’s small restaurant in his youth. He even paid his way through college working in restaurants and later gained extensive management experience in numerous well-known restaurants. 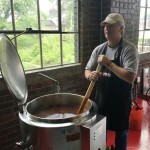 When Brad decided to open his own restaurant in 1992, The Wooden Spoon, he sought assistance from The Ohio State University (OSU) Extension with setting up a business plan. Due to his prior success in working with OSU when Brad made the decision to sell the business and invest in franchise ownership, he called the OSU South Centers Small Business Development Center for assistance once again. Currently, Brad owns two Subway Restaurants (one inside Walmart in Hillsboro, Ohio, and one inside Walmart in West Union, Ohio). Franchise ownership has been such a success for Brad that he added Hot Head Burritos in Mainville, Ohio, to his business portfolio. Brad continues to develop and assess opportunities for expanding into additional locations. Schmelzer Industries serves customers across the country and around the world; proudly continuing their tradition of quality products and excellent service. The company supplies products for composite processes—a surfacing veil or light-weight fiberglass reinforcement used in plastic resin mold parts used to retain surfaces. Some product use include surfacing for: boats, helmets, lunch trays, pultrusion for windows, cars, airplanes, costume shields and masks, and anything that needs a light, strong surface material. 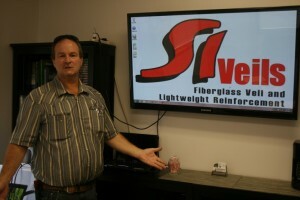 To find out more about their products, go to Schmelzer Industries. 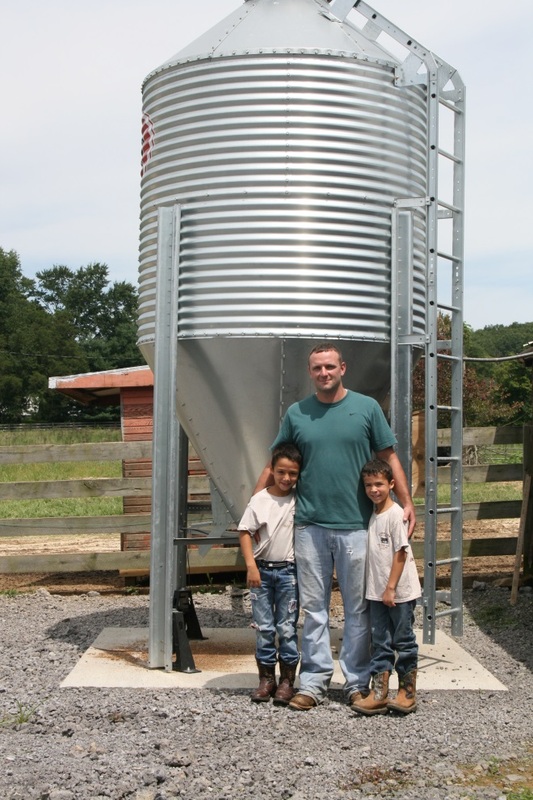 Gabe Glenn of Glenn Farms comes from a long line of farmers. From the time Gabe was four years old, he knew he wanted to have cattle and farm. 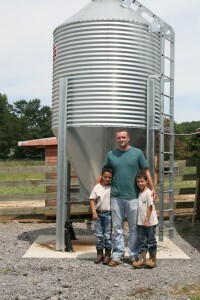 He began his farming career cleaning out barns and checking on the cattle on his grandfather’s farm. When his grandfather passed, Gabe continued to help his father with the farm — doing hay and raising calves. If you are interested in purchasing Angus beef (no growth hormones, no antibiotics, all natural beef), contact Gabe through the Glenn Farms (Beaver, Ohio) Facebook page. 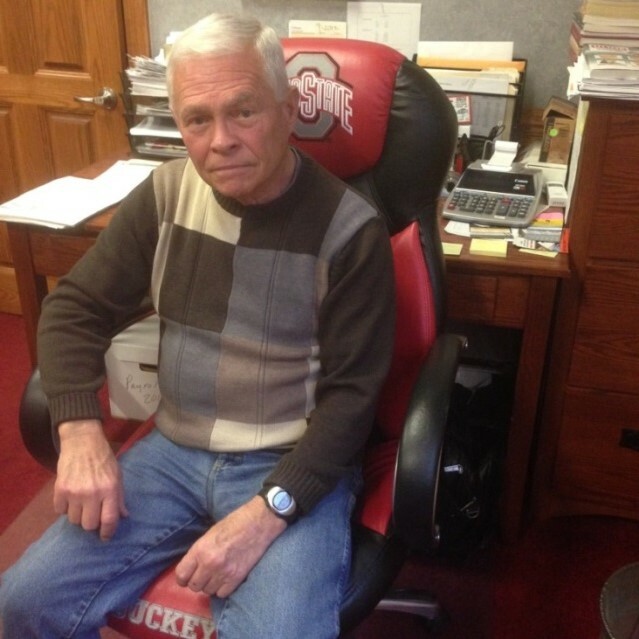 George Coleman, owner of Coleman Packaging, opened his own business in Columbus, Ohio more than 20 years ago. 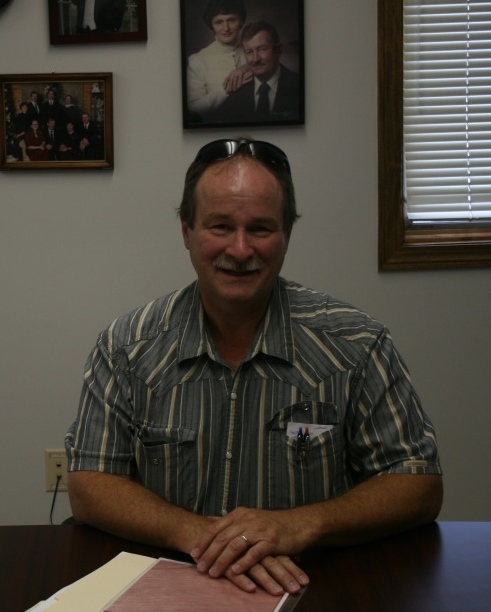 He moved to Jackson, Ohio in 1994 to serve a need for the production of packaging for the automotive sector. A number of years ago, George’s company had a major financial blow when the automotive industry left the Jackson area. He had to close one site and went from 46 employees in 2008 to 15 currently. With the great reputation his company has with his service and quality product, George was able to secure some new contracts and is on the incline once again. George said, “I’ve never had a sales person, and I’ve been in business for more than 30 years” relying on word-of-word about his great reputation for service and quality products. But when he had an opportunity for assistance from Ryan Mapes, Manager, Ohio State University (OSU) South Centers Endeavor Center (business incubator), Mike Rowe, Director, Manufacturing and Technology Small Business Development Center, and Brad Bapst, Director, Small Business Development Center, he was pleased with the results. George said, “I ask for help, and they arranged a meeting with a potential client. For more information about products, go to Coleman Packaging.